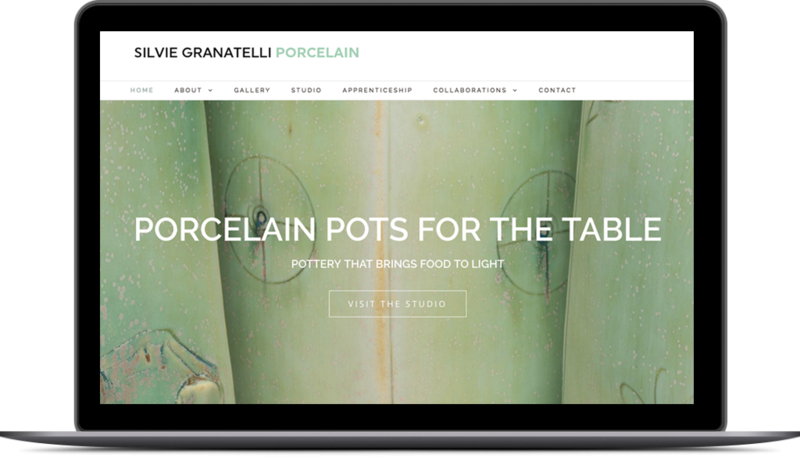 A new site design showcases the beautiful textures and details of years of amazing work by a Virginia potter. Silvie Granatelli is a potter with many years of experience teaching and creating amazing porcelain pieces. Her previous site featured tiny photos and outdated information. Silvie wanted a new site that would showcase her new work and inform visitors about her upcoming events and workshops. The design of the site is clean and uncluttered, but the close-up photography in the page banners still captures the textures and organic shapes featured in Silvie’s work. The site also features information about Silvie’s apprenticeship program – something she wanted to make sure was easy to find.